So last week, I came home to no power, which of course meant no Internet because the ADSL service is still on mains power. This is something that’s been on my TO-DO list for a while now, and I’ve been considering how to go about it. 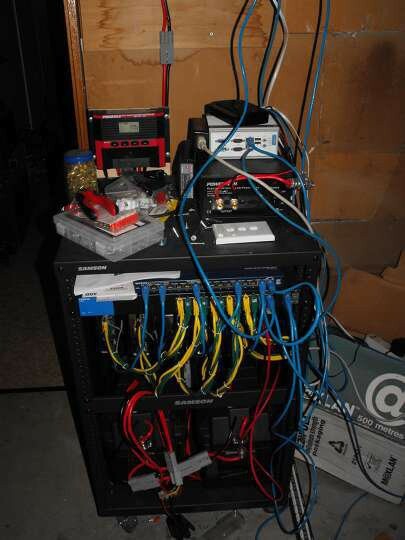 One way was to run 12V from the server rack to the study where the ADSL is. I’d power the study switch (a Cisco SG-208), the ADSL modem/router (a TP-Link TD-8817) and the border router (an Advantech UNO-1150G). With all that, we’re looking at 3-4A of current at 12V, over a distance of about 5 metres. The 6 AWG cable I used to hook panels to solar controller is obviously massive overkill here, but CAT5e is not going to cut it… it needs to be something around the realm of 12 AWG… 20 at the smallest. I have some ~14AWG speaker cable that could do it, but that sounds nasty. The other approach is to move the ADSL. After finding a CAT3 6P4C keystone insert, I dug out some CAT5e (from a box that literally fell off the back of a truck), slapped my headlamp onto my hard hat, plonked that on my head and got to work. It took me about an hour to install the new cable. I started by leaving the network-end unterminated, but with enough loose cable to make the distance… worked my way back to the socket location, cut my cable to length, fitted the keystone insert, then went back to the ADSL splitter and terminated the new run. There was a momentary blip on the ADSL (or maybe that was co-incidence), then all was good. After confirming I still had ADSL on the old socket, I shut down the router and ADSL modem, and re-located those to sit on top of the rack. Rather than cut new cables, I just grabbed a power board and plugged that in behind the rack, and plugged the router and modem into it. I rummaged around and found a suitably long telephone cable (with 6P6C terminations), and plugged that in. Lo and behold, after a minute or two, I had Internet. The ugly bit though is that the keystone insert didn’t fit the panel I had, so for now, it’s just dangling in the air. No, not happy about that, but for now, it’ll do. At worst, it only has to last another 3 years before we’ll be ripping it out for the NBN. The other 3 pairs on that CAT5e are spare. If I want a 56kbps PSTN modem port, I can wire up one of those to the voice side of the ADSL splitter and terminate it here. I think tomorrow, I’ll make up a lead that can power the border router directly from the battery. I have two of these “LM2596HV” DC-DC converter modules. I’m thinking put an assortment of capacitors (a few beefy electrolytics and some ceramics) to smooth out the DC output, and I can rummage around for a plug that fits the ADSL modem/router and adjust the supply for 5V. I’ll daisy-chain this off the supply for the border router. We’re slated for Hybrid Fibre Coax for NBN, when that finally arrives. I’ll admit I am nowhere near as keen as I was on optic fibre. Largely because the coax isn’t anywhere near as future-proofed, plus in the event of a lightning strike hitting the ground, optic fibre does not conduct said lightning strike into your equipment; anything metallic, will. By moving the ADSL to here though, switching to the NBN in the next 12-24 months should be dead easy. We just need to run it from the junction box outside, nailing it to the joists under the floor boards in our garage through to where the rack is. No ceiling/wall cavities or confined spaces to worry about. 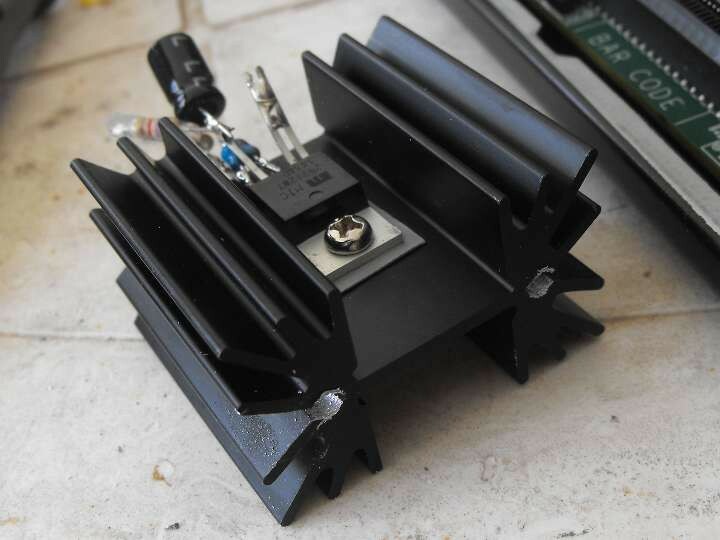 If the NBN modem needs a different voltage or connector, we just give that DC-DC converter a tweak and replace the output cable to suit. There is an existing Foxtel cable, from the days when Foxtel was an analogue service, and I remember the ol’e tug-o-war the installer had with that cable. 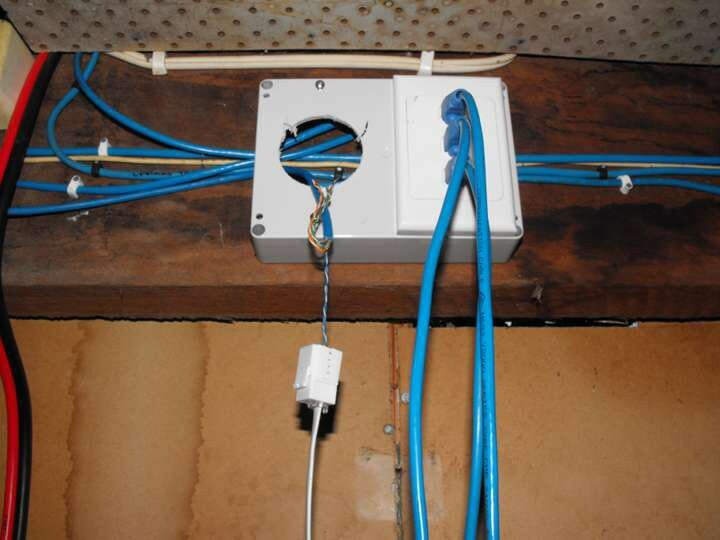 It is installed in the lounge room, which is an utterly useless location for the socket, and given the abuse the cable suffered (a few channels were a bit marginal after install), I have no faith in it for an Internet connection. Thus, a new cable would be best. I’ll worry about that when the time comes. On the power supply front… I have my replacement. The big hold-up with installing it though is I’ll need to get a suicide lead wired up to the mains end, then I need to figure out some way to protect that from accidental contact. There’s a little clear plastic cover that slips over the contacts, but it is minimal at best. I’m thinking a 3D printed or molded two-part cover, one part which is glued to the terminal block and provides the anchor point for the second part which can house a grommet and screw into the first block. That will make the mains end pretty much as idiot-resistant as it’s possible to be. We’ll give that some thought over the weekend. The other end, is 15V at most, I’m not nearly so worried about that, as it won’t kill you unless you do something incredibly stupid. As I mentioned in my last post, it was clear that the old logic just wasn’t playing nice with this controller, and that using this controller to maintain the voltage to the nodes below 13.6V was unrealistic. The absolute limits I have to work with are 16V and 11.8V. 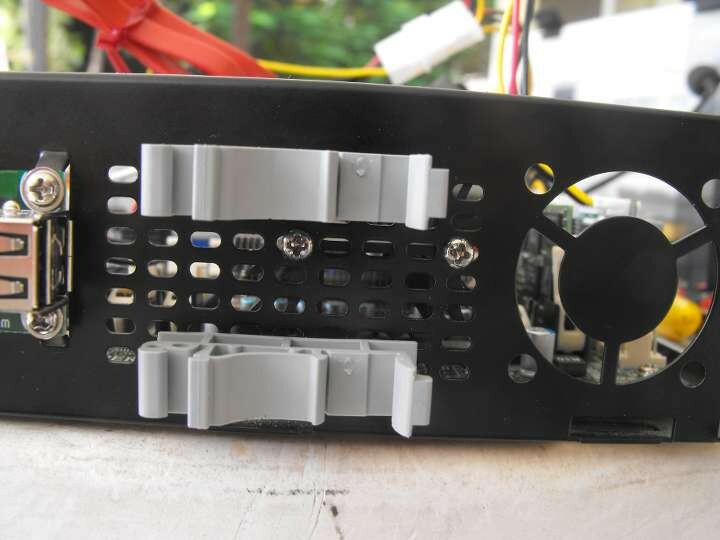 The 11.8V comes from the combination of regulator voltage drop and ATX PSU power range limits: they don’t operate below about 10.8V, if you add 700mV, you get 11.5V … you want to allow yourself some head room. Plus, cycling the battery that deep does it no good. As for the 16V limit… this is again a limitation of the LDOs, they don’t operate above 16V. In any case, at 16V, the poor LDOs are dropping over 3V, and if the node is running flat chat, that equates to 15W of power dissipation in the LDO. Again, we want some headroom here. 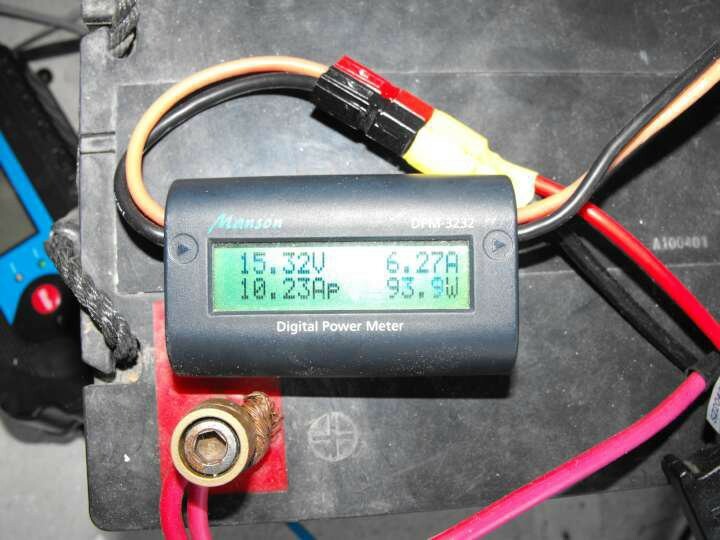 The Xantrex charger likes pumping ~15.4V in at flat chat, so let’s go 15.7V as our peak. Those are our “extreme” ranges. 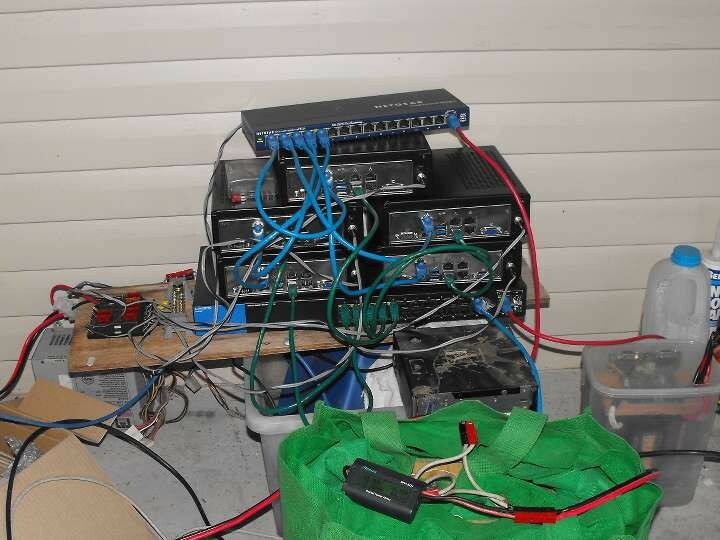 At the lower end, we can’t disconnect the nodes, but something should be visible from the system firmware on the cluster nodes themselves, and we can thus do some proactive load shedding, hibernating virtual instances and preparing nodes for a blackout. Maybe I can add a small 10Mbps Ethernet module to an AVR that can wake the nodes using WOL packets or IPMI requests. 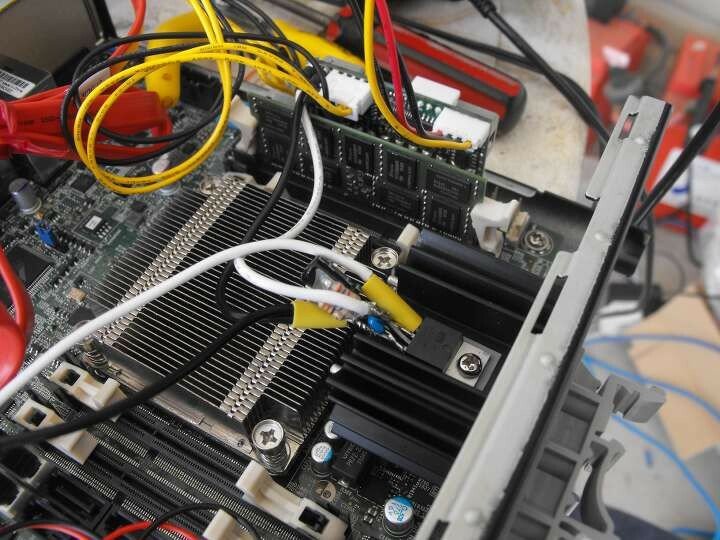 Perhaps we shut down two nodes, since the Ceph cluster will need 2/3 up, and we need at least one compute node. At the high end, the controller has the ability to disconnect the charger. So that’s worked out. Now, we really don’t want the battery getting that critically low. Thus the time to bring the charger in will be some voltage above the 11.8V minimum. Maybe about 12V… perhaps a little higher. We want it at a point that when there’s a high load, there’s time to react before we hit the critical limit. The charger needs to choose a charging source, switch that on, then wait … after a period check the voltage and see if the situation has improved. If there’s no improvement, then we switch sources and wait a bit longer. Wash, rinse, repeat. When the battery ceases to increase in voltage, we need to see if it’s still in need of a charge, or whether we just call it a day and run off the battery for a bit. 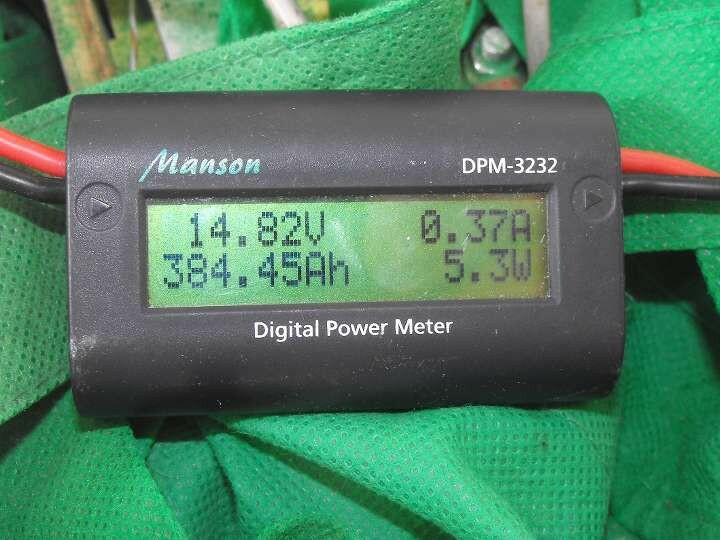 If the battery is around 14.5~15.5V, then that’s probably good enough and we should stop. The charger might decide this for us, and so we should just watch for that: if the battery stops charging, and it is at this higher level, just switch to discharge mode and watch for the battery hitting the low threshold. Now, our next problem is the waiting… how long do we wait for the battery to change state? If things are in the critical bands, then we probably want to monitor things very closely, outside of this, we can be more relaxed. Timer delay… a timer used to count down until the next event. The variable names in the actual code will be a little more verbose and I’ll probably use #defines for the enumeration. Below is the part-state-machine part-flow-chart diagram that I came up with. It took a few iterations to try and describe this accurately, I was going to use a state machine syntax similar to what my workplace uses, but in the end, found the ye olde flow chart shows it best. In this diagram, a filled in dot represents the entry point, a dot with an X represents an exit point, and a dot in a circle represents a point where the state machine re-enters the state and waits for the main loop to iterate once more. You’ll note that for this controller, we only care about one voltage, the battery voltage. That said, the controller will still have temperature monitoring duties, so we still need some logic to switch the ADC channel, throw away dummy samples (as per the datasheet) and manage sample storage. The hardware design does not need to change. We can use quiescent voltages to detect the presence of a charging source, but we do not need to, as we can just watch the battery voltage rise, or not, to decide whether we need to take further action. Okay, so now the searing heat of the day has dissipated a bit, I’ve dragged the cluster out and got everything running. 240v mains → 20A battery charger → battery → volt/current meter → cluster. Okay, the 3.3V and 5V rails are lower than I’d expect, but that’s the duty of the PSU/motherboard, not my direct problem. 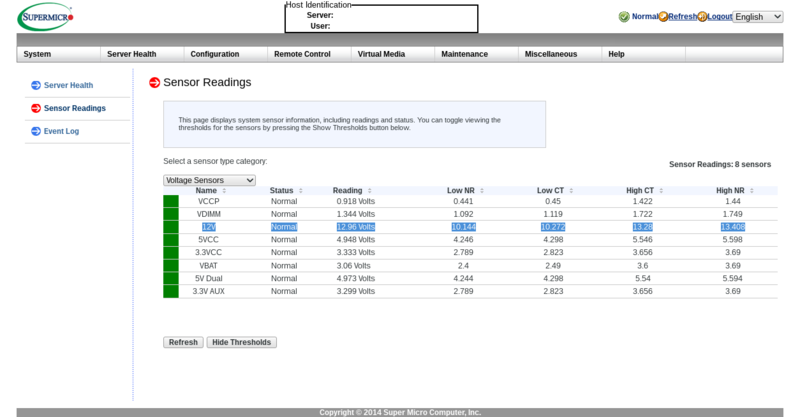 Going forward… I need to get the cluster solar ready. Running it all from 12V is half the story, but I need to be able to manage switching between mains and solar. The battery I am using at the moment is a second-hand 100Ah (so more realistically ~70Ah) AGM cell battery. I have made a simple charger for my LiFePO₄ packs that I use on the bicycle, there I just use a LM2576 switchmode regulator to put out a constant voltage at 3A and leave the battery connected to “trickle charge”. Crude, but it works. When at home, I use a former IBM laptop power supply to provide 16V 3A… when camping I use a 40W “12V” solar panel. I’m able to use either to charge my batteries. The low output means I can just leave it running. 3A is well below the maximum inrush current capacity of the batteries I use (typically 10 or 20Ah) which can often handle more than 1C charging current. Here, I’m using an off-the-shelf charger made by Xantrex, and it is significantly more sophisticated, using PWM control, multi-stage charging, temperature compensation, etc. It also puts out a good bit more power than my simple charger. Consequently I see a faster rise in the voltage, and that is something my little controller will have to expect. 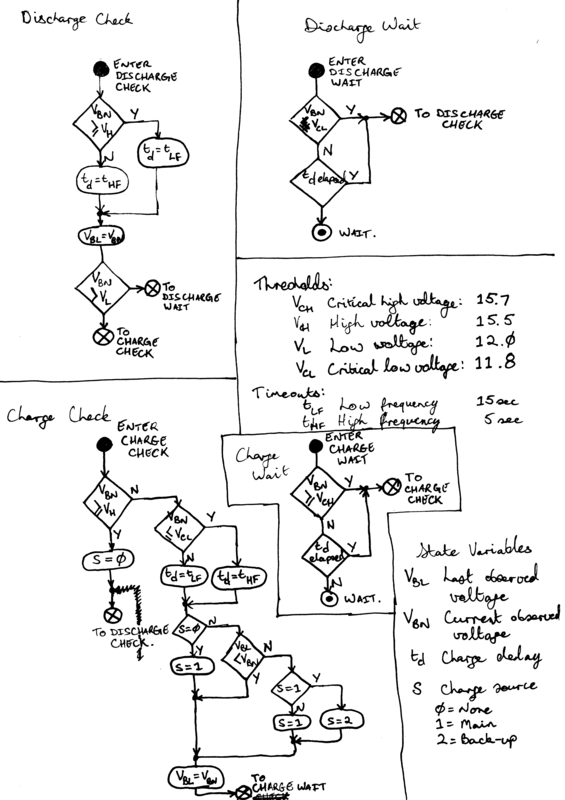 In short, I am going to need a more sophisticated state machine… one that leaves the cut-off voltage decision to the charger. One that notices the sudden drop from ~15V to ~14V and shuts off or switches only after it remains at that level for some time (or gets below some critical limit). So, late yesterday afternoon, I devised a light test of the controller to see how it would perform. 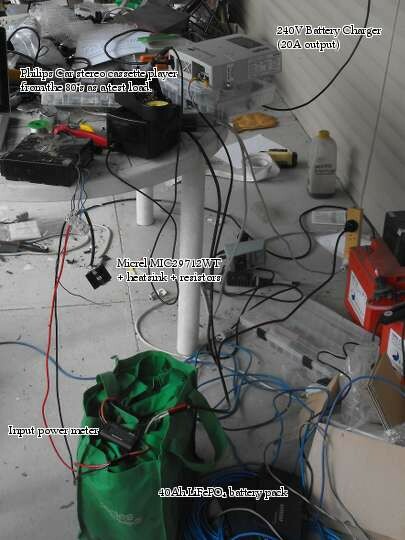 For this I disconnected all but one of the nodes, and hooked up one of my old 10Ah LiFePO₄ packs and my 3A charger hooked to mains. The LM2576-based charger is just able to hold this load and provide 1A charging current. The first thing I noticed is that the fan seemed to turn on and off a lot… this could be a difference in the temperature sensors between the DIP version of the ATTiny24A that the prototype used and the SOIC version which the new controller used. The test ran overnight. The node basically was idling, as were the two Ethernet switches. But, it served the purpose. I now know the logic is sound, although I might want to adjust my set-points a little. 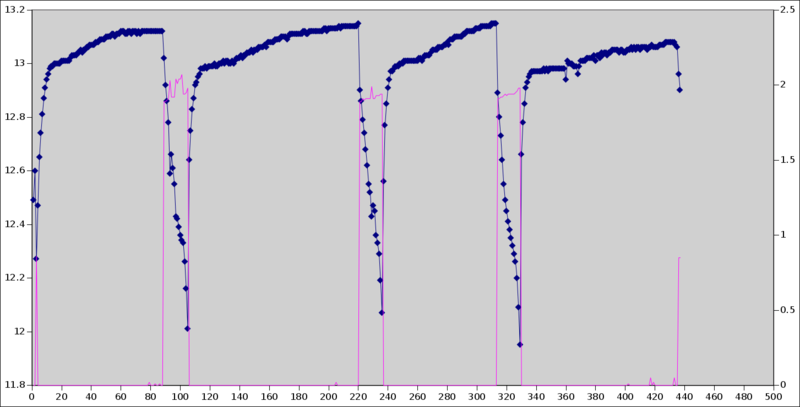 That’s the output data from a small digital power meter that was hooked up in circuit. 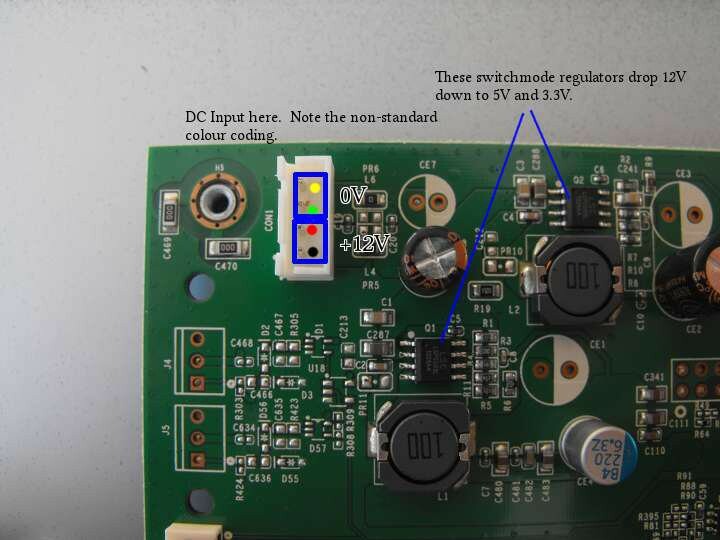 This device is unable to display negative current, so the points at which the battery was charging is shown as 0A. Left axis is voltage, right is current. You can see that the charger gets brought in when the battery dips below 12V and clicks off just before 13.2V. I can probably go a little higher than that, maybe about 13.6V. I may also need to re-visit the fixed resistor settings on the linear regs inside the nodes to knock them down a few more pegs to prevent the BMCs whining about the high voltage. Next weekend, I might consider hooking up the 20A mains charger and giving it a full load test. Well, I finally got busy with the soldering iron again. 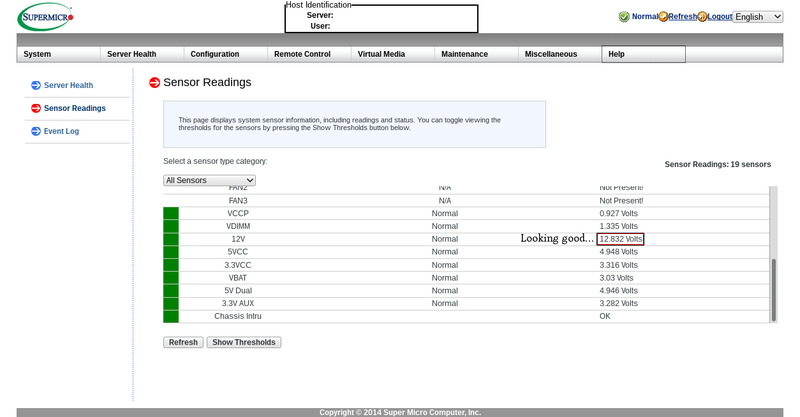 This time, installing the regulators in the cluster nodes and in the 26-port switch. I had a puzzle as to where to put the regulator, I didn’t want it exposed, as they’re a static-sensitive device, so better to keep them enclosed. It needed somewhere where the air would be flowing, and looking around, I found the perfect spot, just in behind the CPU heatsink. There’s a small gap where the air will be flowing past to cool the CPU, and it’s sufficiently near the ATX PSU to feed the power cabling past. I found I was able to tap M3 threads into the tops of the heatsinks and fix them to the “front” of the case near where the DIN rail brackets fit in. So from the outside, it looks all neat and tidy. After installing those, I turned my attention to the switch. Now I had an educated guess that the switch would be stepping down from 12V, so being close to that was not so critical, however going above it would stretch the friendship. Rather than feeding it 13.1V like the compute nodes, I decided I’d find some alternate resistor values that’d be closer to 12V. Those wound up being R1=3.3kΩ and R2=390Ω, which gave about 11.8V. Close enough. It was then a matter of polarity. The wiring inside this switch uses a non-standard colour code, and as I suspected, the conductors are just paralleled, it’s the one feed of 12V. 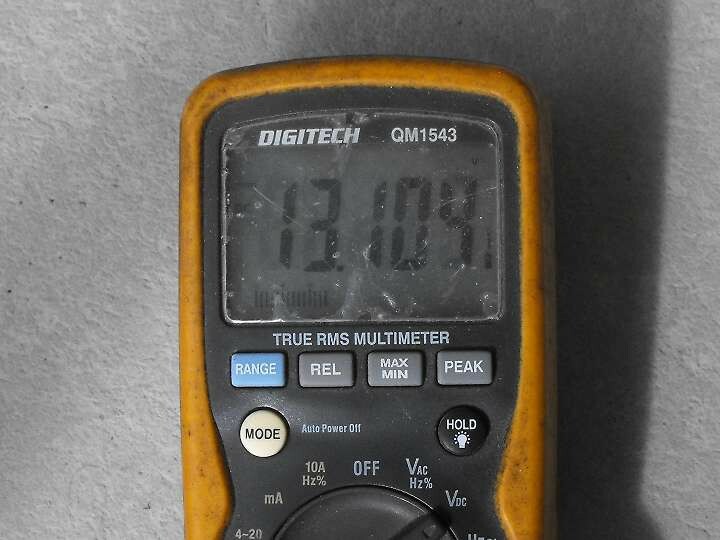 Probing with a multimeter revealed the pin pairs were shorted, and removing the PSU confirmed this. I pulled out the switch mainboard and probed around the electrolytics which had their negative sides marked. Sure enough, it’s the Australian Olympic team colours that give away the 0V side. I’ve shown the original colour code here as coloured dots, but essentially, green and yellow are the 0V side, and red and black are the +12V side. So I had everything necessary. I grabbed a bit of scrap PCB, used the old PSU as a template for drilling out the holes, used a hacksaw to divide the PCB surface up then dead-bugged the rest. To position the heatsink, I drilled a 3mm hole in the bottom of the case and screwed a 10mm M3 stand-off there. Yes, this means there’s an annoying lump on the bottom, I should use a countersunk M3 screw, I’ll fix that later if it bothers me, I’ll be rack-mounting it anyway. On the input to the regulator, I have a 330uF electrolytic capacitor and 100nF monolithic capacitor in parallel, on the output, it’s a 470uF and a 100nF. A third 100nF hooks the adjust pin to 0V to reduce noise. I de-soldered the original PSUs socket and used that on the new board. It fits beautiful. 100-240V? Not any more Linksys. So now, the whole lot runs off a single 12V battery supply. 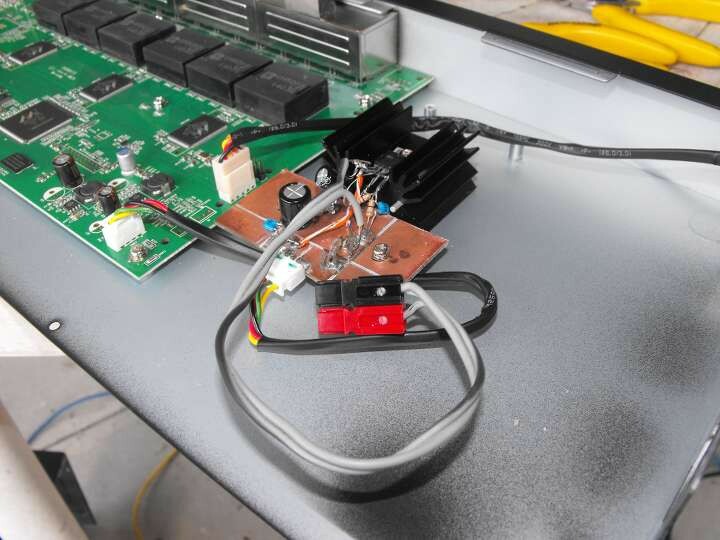 The remainder of this project is the charging of that battery and the software configuration of the cluster. At present, the whole cluster’s doing an `emerge @system`, with distcc running, and drawing about 7.5A with the battery sitting at 12.74V (~95W). Edit: Now that they’ve properly fired up, I’m seeing a drain of 10.3A (126W). Looks that’s going to be the “worst case scenario”.